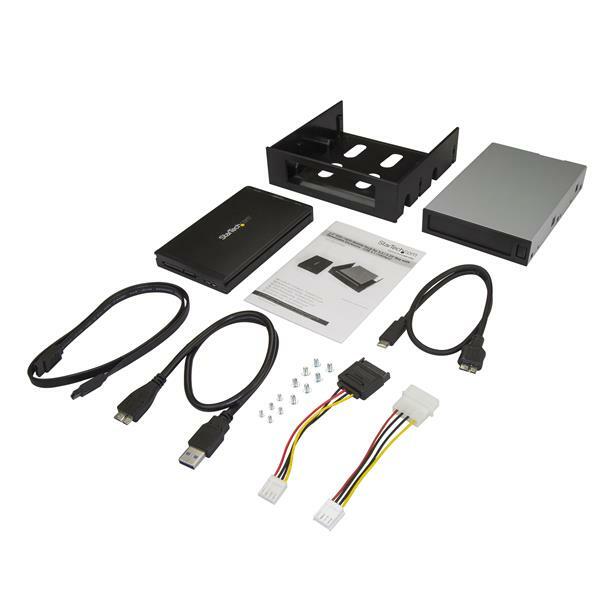 This hot-swap hard drive bay turns your 2.5" SATA hard drive or solid-state drive into a removable drive that you can use as a regular external USB 3.1 enclosure. 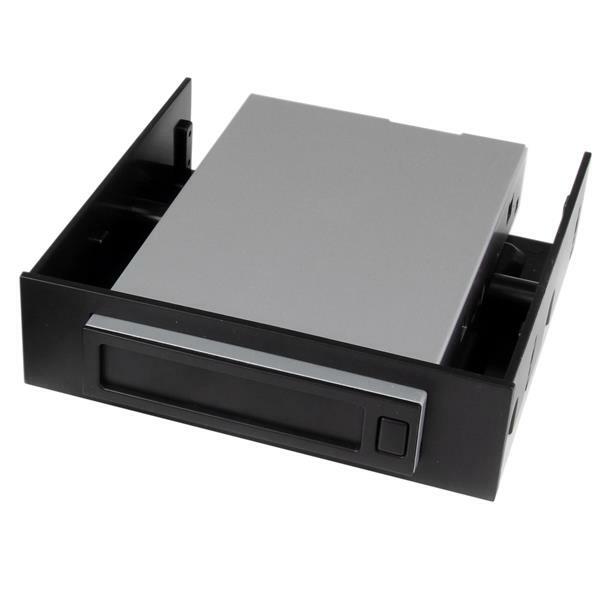 Mount the removable SATA drive bay into any 3.5" or 5.25" front bay, to provide a hot-swappable mobile rack. 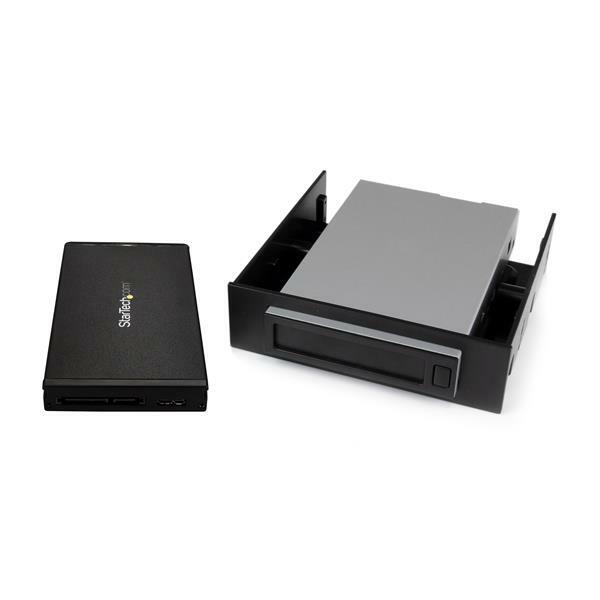 This makes it easy to install and remove the drive from the computer system without having to open the case every time, and provides a more convenient way to create backups that you can remove for data recovery and archiving. 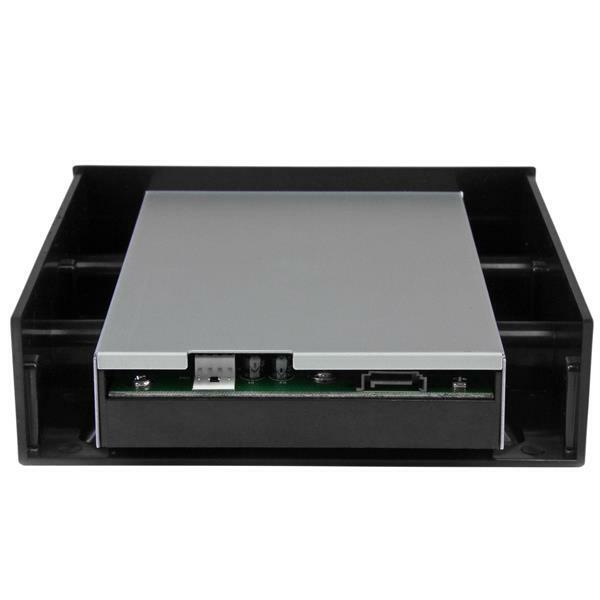 If you need access to your data outside of the office, you can use the enclosure portion as a standard USB 3.1 (10Gbps) enclosure -- a powerful external storage solution when you need access to your files while you’re on the road. Simply eject the enclosure from the bay for portable data storage. Its lightweight, compact design makes it easy to tuck into a laptop bag or carrying case. 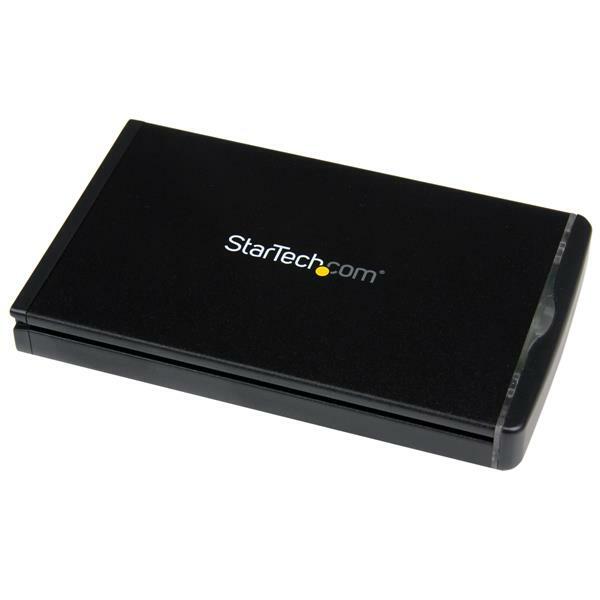 The enclosure includes a Micro-USB to USB-A and a Micro-USB to USB-C cable, so you can plug the enclosure into your laptop and access your data anywhere you go. 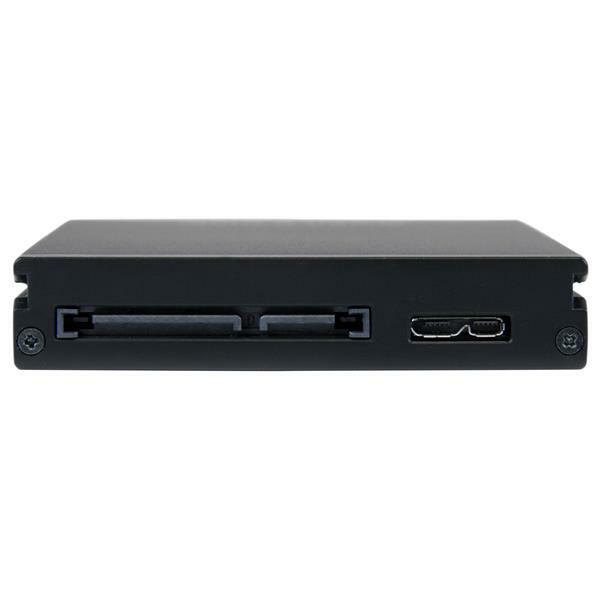 For even more versatility, StarTech.com offers the S251BU31REMD, an extra 2.5" SATA Drive Enclosure for the S251BU31REM, providing multiple enclosures that can be swapped in and out of the main computer. The S251BU31REM backed by a StarTech.com 2-year warranty and free lifetime technical support. Max Drive Capacity Currently tested with hard drives up to 2TB at 7200 RPM. (5 stars) What a Cool Concept! Being able to pop my external drive in & out of this enclosure allows me to use it as my main D: (data) drive. Normally it's in the enclosure, connected to the SATA port on the motherboard. But whenever I need to take it with me, it's instantly portable. I just pop it out, and connect it to my laptop with a USB cable. Same thing if my PC is down for repair or modifications. I never lose access to my data drive for more than the minute it takes to pop it out & USB it to another device. I love this.